Those who want to tweak Magento checkout to their needs normally face the challenge of finding the most appropriate, affordable and reliable solution. While the choice is truly overwhelming, we decided to make a detailed comparison of the top 15 Magento checkout extensions available in the market today. In part, our effort was directed at discovering how our own solution, All-In-One Checkout for Magento, matches up against leading market players. gift wrap, rush fee, etc. text field, dropdown, checkboxes, dependable dropdowns, date with time, radio buttons, etc. Company, Zip, Region, City, Phone, Fax, etc. if either Flat Rate, or Free Shipping is the only method. if only one shipping method is available. What is All-In-One Checkout for Magento? 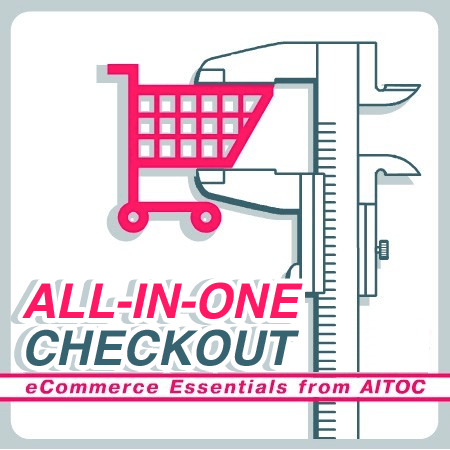 All-In-One Checkout is a Magento extension by Aitoc that comes with an array of checkout customization tools that allow merchants to fully customize Magento checkout to their needs.